No doubt you’re guilty of uttering at least one of the above at some point during the chaos of your week. But what many people fail to realize is that most foot discomfort is not actually a result of direct strain on the afore mentioned areas (toes, ankles or arch). It’s rather because of repetitive strain on the central ligament found in the sole of the foot. This ligament is responsible for connecting the heel to the toes. And this condition is called plantar fasciitis. Plantar fasciitis involves inflammation of the thick band of tissue (also known as the plantar fascia) that runs underneath the foot, from the tip of the heel right into each of the toes. Because the plantar fascia ligament essentially runs through the entire foot, it is usually the most common cause of heel and toe pain & problems involve an intense stabbing sensation. Generally, this occurs after having not actively used your feet such as when you are sleeping. One’s first few steps in the morning will likely trigger the discomfort and gradually deteriorate as the foot becomes warmer and is in use. Long periods of standing or rising after having been seated for a while will also trigger the symptoms. A good way to comprehend this type of strain would be to imagine the bow of a violin and the tightly wound strings that form the shock-absorbing band. A similar contraption exists underneath the foot; tightly wound tissue and tendons that form the whole ligament & absorb all shock that the foot encounters. When the ligament encounters too much shock or strain it can form small rips and tears but will generally heal quickly. Repetitive shock or strain, however, will cause the ligament to become overwhelmed and inflamed as a result. Runners will often suffer from plantar fasciitis at some point in their running career. Once this happens the accompanying heel pain will show itself in random bursts, usually early in the morning or after periods of rest. The pain is also usually worse after any form of exercise, but generally won’t be experienced during the activity. In fact, it is largely concluded that exercises that involve a lot of use of the heel are usually responsible for the onset of plantar fasciitis. Those most at risk for plantar fasciitis are individuals between the ages of 40 and 60 who have unusual foot mechanics such as abnormally high arches or flat feet. People struggling with obesity are also high risk due to the strain of the weight being held by the foot. Massaging is an age-old remedy with new benefits being discovered as medical research progresses. Aside from just pure relaxation, there are many tangible advantages through the practice of massage particularly when applied to the foot areas. Because massage’s focus is softening of tissue and muscle, it naturally results in better blood flow & in turn undeniable pain relief of the heel in question. Considering this, it would seem only logical that frequent massage of the plantar fascia ligament could help ease pain and stimulate faster healing. Because of the nature of life it’s impractical to assume one could attend a massage session frequently enough to suffice in regards to this problem. 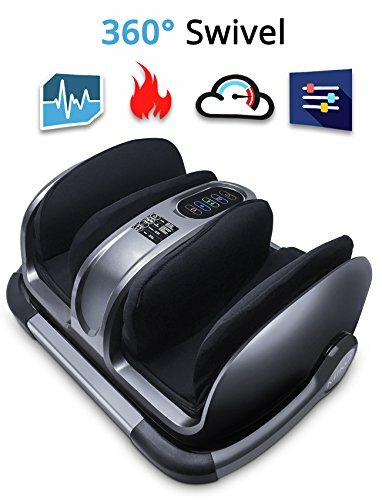 Thankfully, modern technology lets us take the masseuse into the comfort of our own homes in the form of electronic foot massagers. The daily accessibility of such devices is a blessing to anyone suffering with plantar fasciitis and in need of frequent relief particularly after a long day of standing. The added bonus is payment for the device is a one time cost, as opposed to forking out per session if one was to visit a salon or spa. 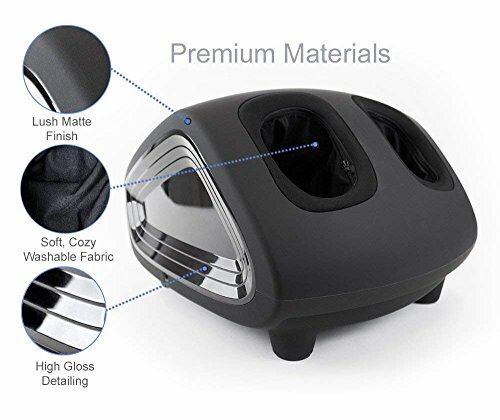 This is a sleek and compact design foot massager in charcoal grey. It features multi-level settings and deep-kneading function at a voltage ranging between 110 and 240. Shiatsu is a form of ancient Japanese practice involving similar principles of acupuncture. Pressure is applied to specific points of the body with the intention of relief from pain, inflammation and tightness. This unit was created to replicate this style of massage. While this particular model only fits up to a size 12 foot, it has adjustable heat settings that make it further recommended to anyone suffering from heel pain. The unit is fully portable which is ideal for sufferers of plantar fasciitis. They can easily make use of it at home or at the office as needed. Not as compact as the previous unit from the same brand, but rather a far more holistic experience. It’s designed to replicate the sensation of being in an actual spa receiving a professional foot massage. Again, with shiatsu massage in mind, this system markets itself as a 360° massage experience that operates on five strength pressure settings. 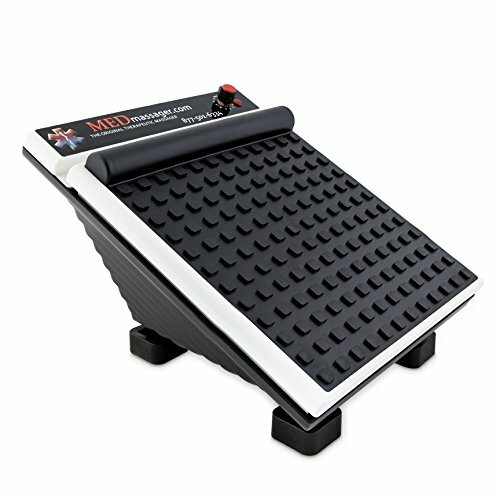 The unit is not solely restricted to use on feet and can be adjusted & set up in ways that provide upper leg massage experiences as well as foot and ankle options. The unit is open ended, meaning there’s no cap on foot size. This unfortunately also makes the unit quite bulky with little to no way of porting it around to different locations or using it on the go. Believed by some to be the absolute fastest and most targeted form of relief from plantar fasciitis, the manual foot massager is a mechanism that has long withstood the test of time. It’s generally comprised of a series of wooden beams and spiked rollers. The unit is intended for the user to roll their heels and under-feet over it, backward and forth, until desired relief or relaxation is achieved. 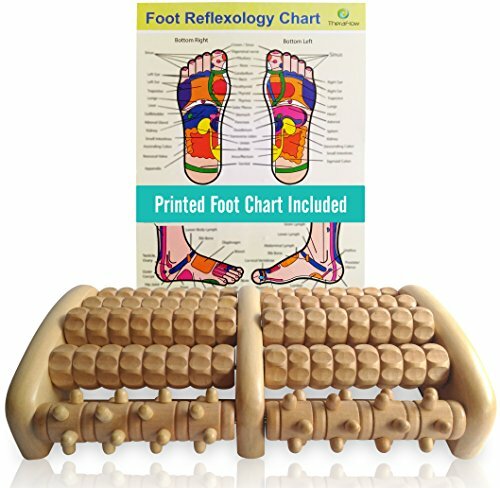 This system is very different from other electronic massagers because it only focuses on the underside of the foot, not the foot as a whole. It’s perfect for the heel pain related to the plantar fascia. It’s lightweight, wooden nature makes it simple to clean and carry around. A chamber-based design in which both feet are inserted into the system and movement occurs solely inside. Thanks to this the system is compact and movable. The Zyllion’s main feature is its heat function - a definite benefit to the plantar fasciitis condition. The system operates anywhere between 110 and 240 volts and has an auto shut off feature which allows the user to use the device while going to sleep. However, the pockets can only fit up to a size 12 foot. Similar to the style of the manual foot massager, the MedMassager is an electronic system designed around under-foot stimulation. It makes direct contact with the plantar fascia. It has 11 speeds and can produce up to 3700rpm. It’s set up in the form of a single solid board on which feet are placed and therefore doesn’t really have a size restriction. However, the unit is designed as a more solid, permanent piece of equipment and is not really useable on the go. You would likely be restricted to home use. Do you intend to use the device solely at home, or would you like to take it on the go? Will you always have access to a power source when you need to use the unit? Would you like a unit that provides additional heat settings? What size foot do you need to accommodate? 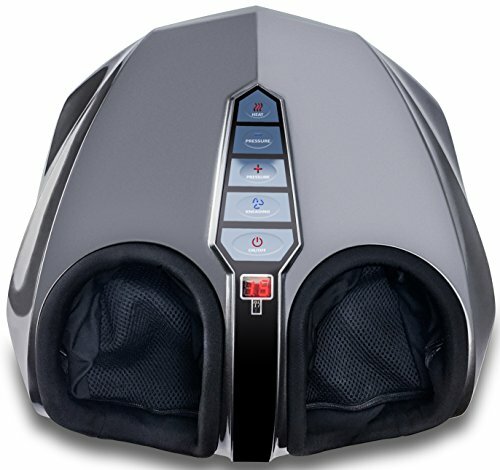 The market for foot massagers is wide and can become overwhelming when one’s specifications are not clearly laid out. The above questions will help you make the best choice for your unique needs. Do you have more questions? Please leave a comment below. The good news is heel pain relief and healing for your plantar fascia are accessible within the comfort of your own home. Get yourself a foot massager today.